Earlier today, we joined with a coalition of groups concerned about Lake Erie to file a formal legal motion under the Clean Water Act. 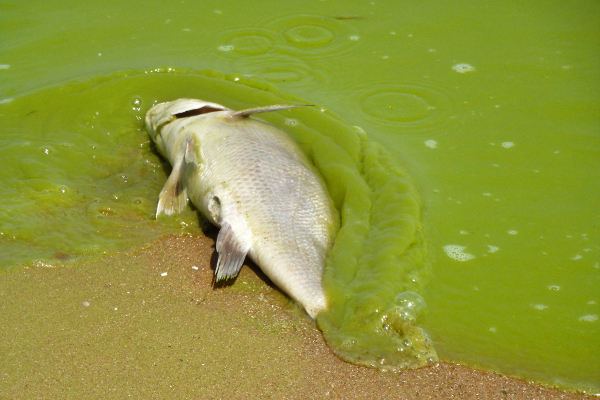 The legal filing officially notifies the US EPA that we are prepared to sue to protect Lake Erie from harmful algal blooms like the 2014 bloom which poisoned drinking water for more than 400,000 people. The Clean Water Act provides powerful tools to protect our drinking water, public health, and economy. Unfortunately, the U.S. EPA has been slow to use them to clean up Lake Erie. The Clean Water Act requires states to determine if their waterways are clean enough to provide safe drinking water, fishing, and swimming. If they do not, the waterways must be listed as “impaired”. Western Lake Erie clearly meets the definition of impaired. Michigan has sought approval from U.S. EPA to designate its portion of western Lake Erie as impaired. Ohio, on the other hand, has listed only parts of western Lake Erie as impaired rather than all of the waters impact by harmful algal blooms. U.S. EPA is required to approve or disapprove these state designations. However, to date U.S. EPA has not responded to the state listings despite a legal obligation to act within 30 days. The 30-day limit has passed. Under the Clean Water Act, a 60-day notice and waiting period is required before a group like the Alliance can file litigation to enforce the law. Today’s action formally files that 60-day notice with U.S. EPA. Now, U.S. EPA has the opportunity to reject or approve Ohio and Michigan’s impaired waters designations. If the U.S. EPA fails to make a decision before the 60 days are up, the groups intend to file a “citizen suit” in Federal District Court against the Administrator of the U.S. EPA. That lawsuit would seek a judgment requiring the U.S. EPA to fulfill its mandatory duty. The organizations filing today’s notice include the Ohio Environmental Council, Alliance for the Great Lakes, National Wildlife Federation, Michigan League of Conservation Voters, Lake Erie Foundation, Lake Erie Charter Boat Association and the Michigan United Conservation Clubs. Read our joint press release and the 60-day Notice of Intent legal filing.